Do you have a handful of recipes that just taste like “home”? Those old favorite recipes that are made year after year? 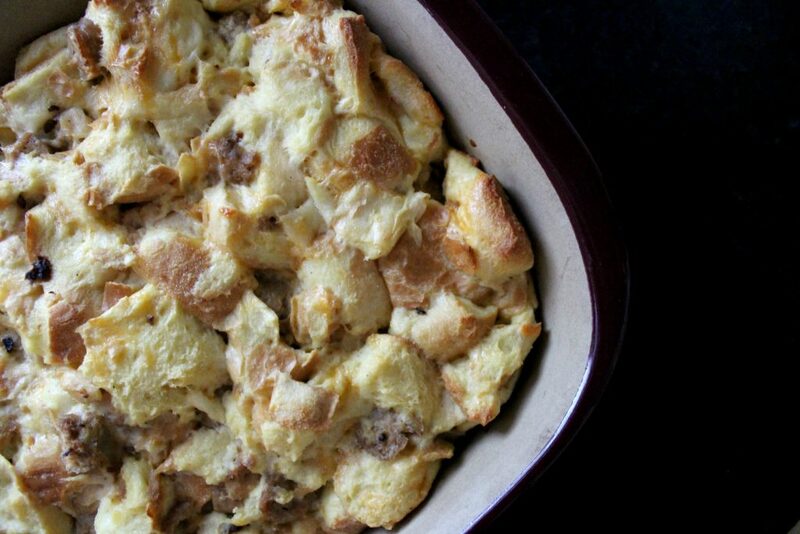 That’s what this breakfast casserole is for our family. I made this recipe for my own family the other night, just for a special occasion dinner, and it instantly brought me back to holiday mornings at my parent’s house growing up. 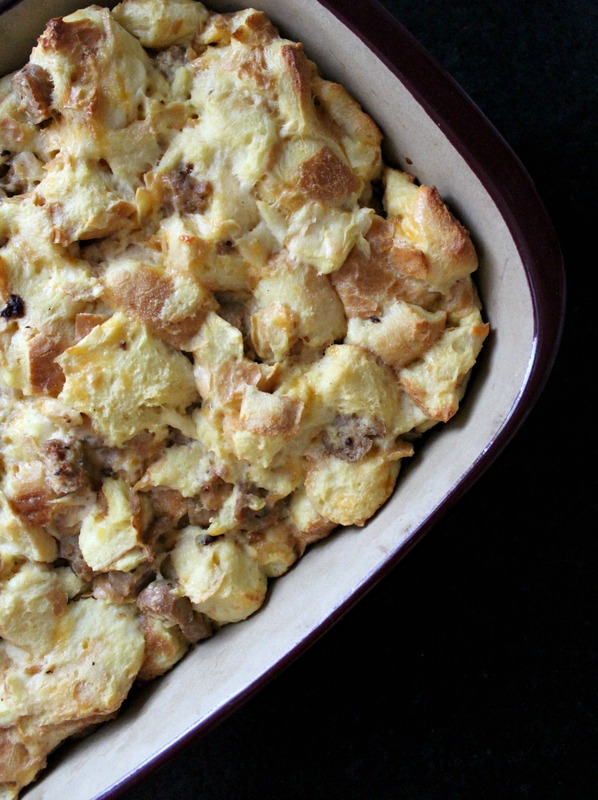 Every Christmas morning, my mom would put this egg casserole (but we simply called it “brunch”) in the oven while we were opening presents. By the time we were done, we sat down as a family to eat it right along with cinnamon buns and fresh orange juice. While it’s certainly not health food, we’ve tried different variations over the years to make it a little more healthy too. Those ideas are listed at the bottom of the post if you’re interested. But I’ll be honest and say that the original recipe is truly the best! It’s perfect for special brunch occasions, because it can be prepped the night before and cooked in the morning. 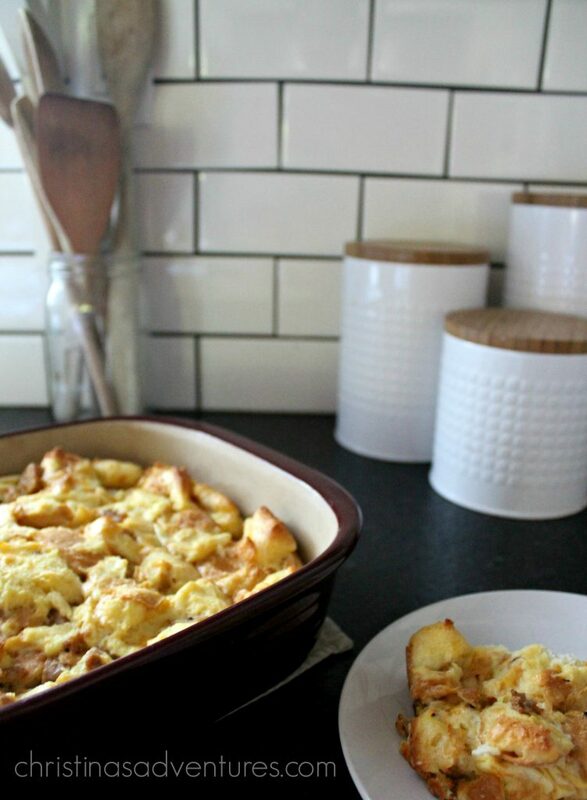 the perfect holiday morning breakfast casserole - this egg and sausage casserole can be made the night before and cooked in the morning! I love to cook this in my stone bakeware – I swear it tastes much better that way! Do you have any family favorite recipes? I’d love to try the recipes! Leave links in the posts if you have them! Can I ask where you got those milk glass canisters?! They are stunning!